but now they are an addiction. BUT they are velvety - flocked, so no more shirts dangling by one strap or sleeve...or falling straight off the hanger. 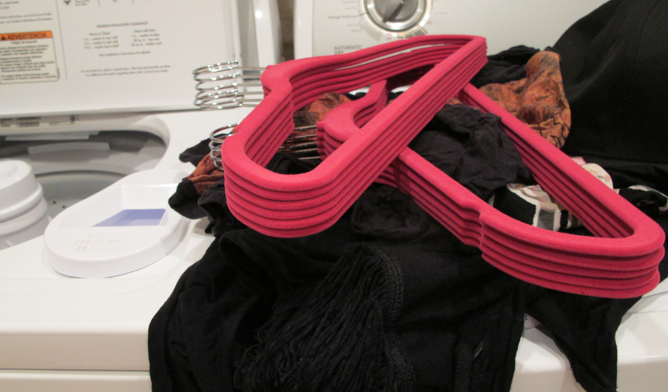 BEFORE: my fresh stack of "skinny hangers"...ready to hang up some laundry last night. 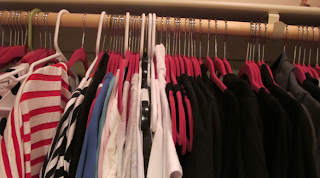 Look at the difference from how many more hangers fit in the same area as those big, bulky plastic hangers...and I can't stand the metal hangers like from the dry cleaners. 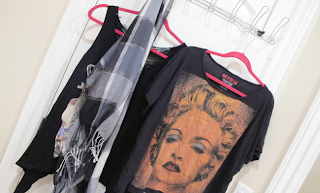 PS..if you wanna take a peeksie at what my day was like before I did my laundry- (oh boy) CLICK HERE. I love these hangers! I first found them at Ross. 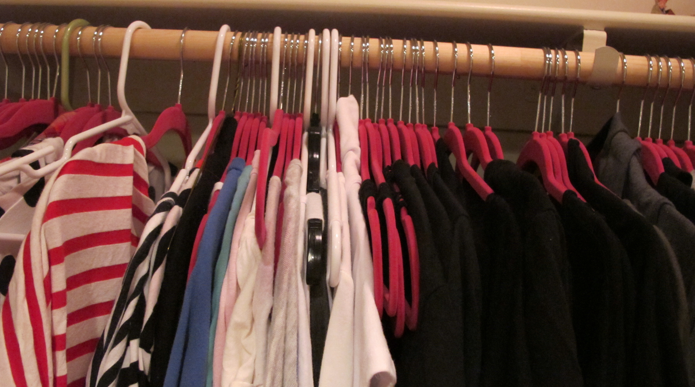 However I found a better deal at costco, you can get a box of 50 hangers for $30!